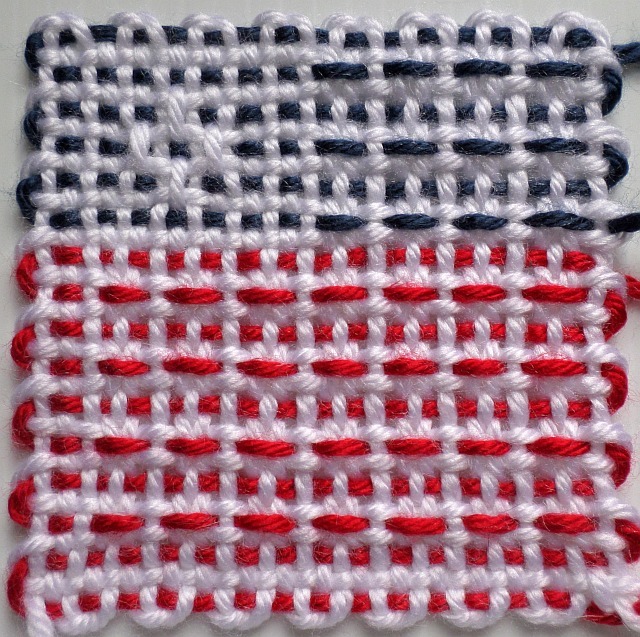 In honor of Flag Day on 14 June, here’s a pattern representing the USA flag. 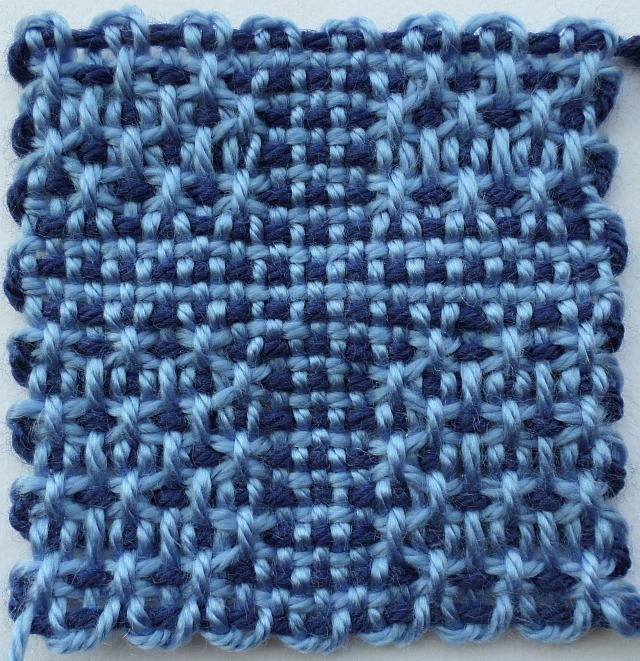 It’s my intention to continue the weave-along (WAL) by posting patterns for the Union Jack and, while not strictly a flag, a maple leaf for my neighbors to the north. We’ll wind up the WAL with another patriotic pattern (possibly something French for Bastille Day, 14 July). A member of the Facebook Pin Loom Weaving Support Group asked me today if I knew of a weaving pattern featuring a cross. I only knew of plus-shaped crosses, so I offered to design one for her. Here are the results. I’ve included possible modifications below the instructions. 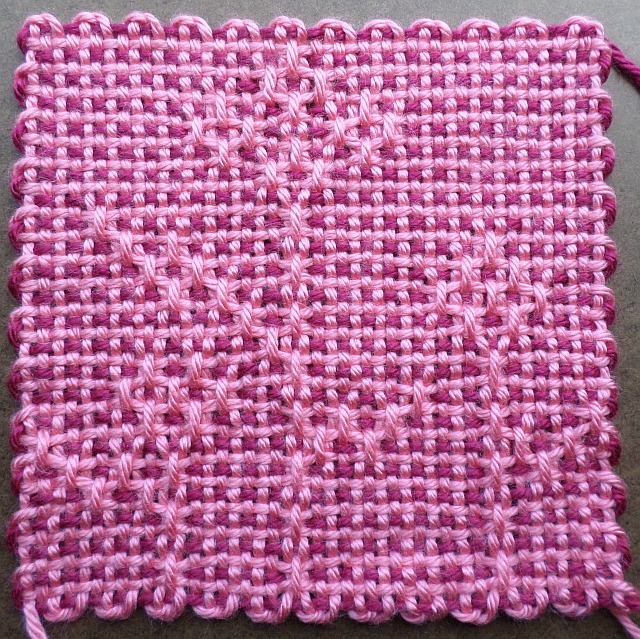 After another group member, Sandi Suggs, wove up both versions, I’ve decided the change in “Cross 2” looks better, but I’m not sure changing “Cross 1” would yield good results. Since people are starting to receive their Wunderwag pin loom sets, I figured I’d better get busy designing some patterns for that size. 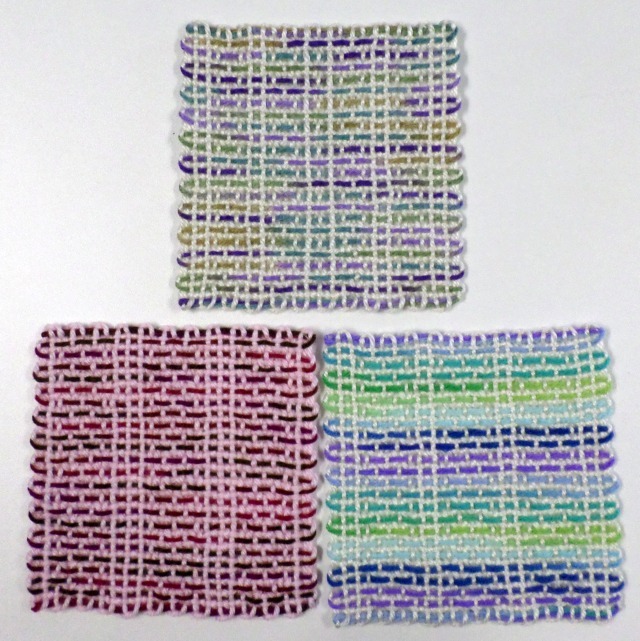 Actually a lot of the 4″ textural patterns can be woven on the 6″, but not all. For example, “Horizontal Xs” doesn’t work on the 6″ loom without modification. It has to do with the number of pins. I’m truly out of my depth here with the terminology. Some patterns are divisible by 4 and some by 2. The 2s work on the 2″, 4″, and 6″ loom, but not the 4s. 4s work on the 4″, 8″, 12″, etc. Thought I’d better release the privacy setting on this post first because you’ll need these instructions for some of the patterns you’ll soon run across. THIS IS AN ADVANCED TECHNIQUE, so beginners might find it confusing—anyone might find it confusing, but go on, give it a try. To find other L2M patterns, just type L2M in the Search box. 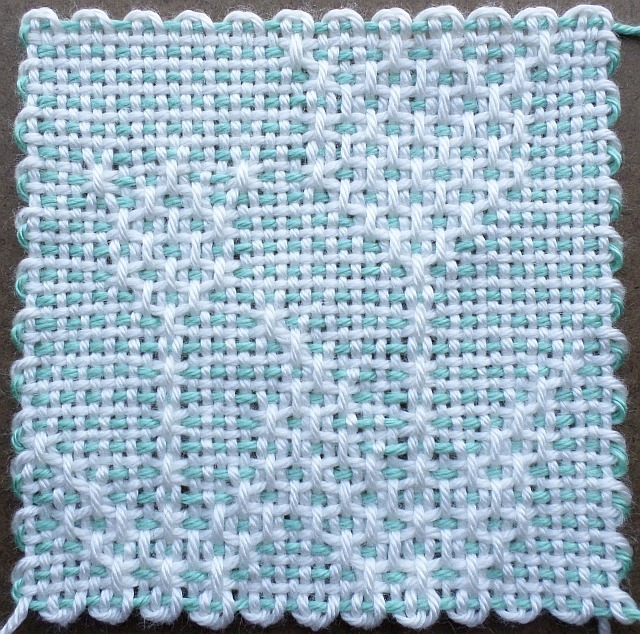 For a very simple L2M of the Hourglass pattern, see this blog post. 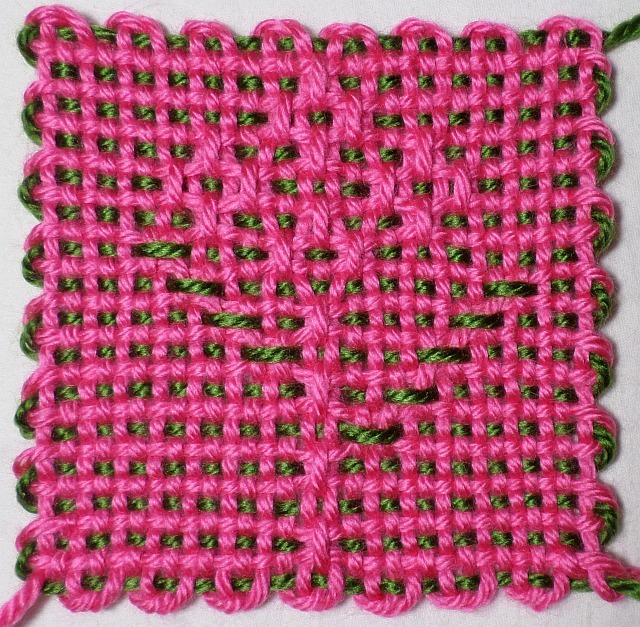 As a pattern weave designer I’m frequently frustrated by my inability to use the three-layer warping method and end up with a design that’s centered on the square. Anything symmetrical, it seemed, always presented the same problem: rows 8 and 9 couldn’t repeat each other (unless they were plain weave rows) without creating a gap in the final figure (see “Hourglass Pattern“). I discovered that a simple trick of manipulating one strand on L2 took care of this problem. It also created new problems, but I’ve dealt with those as they’ve come up.